Open Road Distribution, 9781504036955, 174pp. 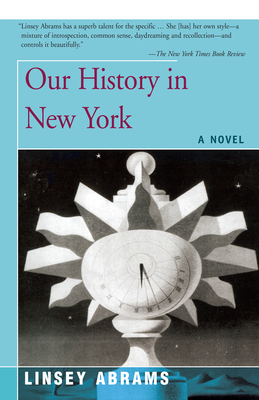 Our History in New York covers a single year in the lives of narrator Chloe, her long-time lover, Helen, and their friends. From AIDS to the glory of Greenwich Village to romance and aging, the novel addresses time, art, mortality, and community at a century's end. The New York Times said of this nationally reviewed author: "Abrams has a superb talent for the specific . . . She has] her own style-a mixture of introspection, common sense, daydreaming and recollection-and controls it beautifully." Sojourner called "each chapter an exquisite short story. . . . Abrams paints . . . neighborhoods with the precision of the old Dutch Masters."